For those who may not know, the star has been plagued with scandal after scandal, and is now currently under police investigation for allegedly offering prostitutes to investors at the night club Burning Sun. Known as "Korea's Great Gatsby" for his lavish lifestyle, the 28-year-old is suspected of supplying prostitutes to foreign investors at several nightclubs in Seoul's upmarket Gangnam district. He faced police questioning at the weekend. I decided on retiring from the entertainment industry as the issues that I caused a societal disturbance with are too major. Shares in YG Entertainment, the band's powerful talent agency, slid by as much as 14%, according to Bloomberg. The singer, who also owns a global franchise restaurant business, suspended his entertainment career in February and canceled concerts scheduled for later this month. Receiving criticism and hate from the public for the past month and a half and with the situation of all the investigative agencies in the country now investigating me, I am even being cornered as a traitor of the nation. "I give my heartfelt, honest thanks to fans at home and overseas who gave their love for the past 10 years and I think this should be it for me for the reputation of YG Entertainment and BIGBANG", he said. Seungri's retirement post has been "liked" more than 810,000 times and commented on 210,000 times on Instagram. 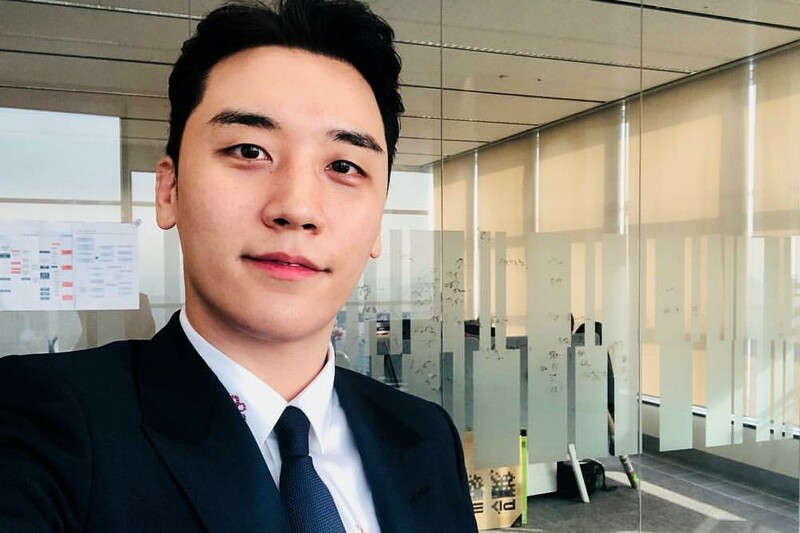 BIGBANG's Seungri has officially been booked and questioned by police on charges of violating South Korea's Acts on Pimping and Prostitution and its Punishments. The scandal comes ahead of his military service enlistment on March 25.